Kisses from Heaven snowman wall hanging. 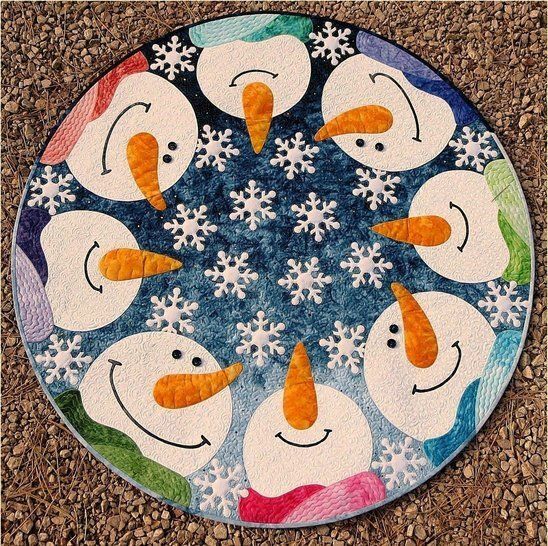 This can also be made into a Christmas tree skirt. Round fiberglass hoop rod hanger is inserted into the bias binding. Available at www.gonesleeveless.com. I used all batiks.